A trip to Poland's historical centre. Stunning world heritage along the Vistula river. 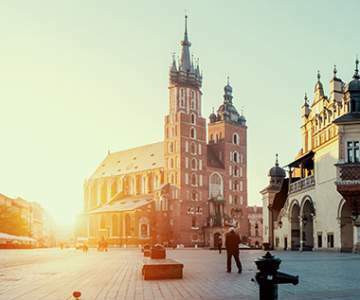 Look here for when a flight to Kraków is the cheapest and book your chance! Hover with your mouse over the graph to look at the exact price for each day. All the practical info and tips for Kraków. 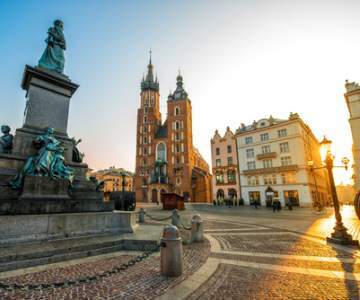 Look here for when a flight to Kraków is the cheapest and book your chance! Kraków is undoubtedly Poland's historical centre. Its historical centre, of which the Wawel and Kazimierz castles are well known - was the first to make the world heritage list. Brussels Airlines takes you to a rich history at cheap rates. Don't miss out on this low-cost city trip to the heart of eastern Europe!